The Foundation delivered "Wishlist Items" to support the Buffalo Ronald McDonald House. They also toured the beautiful home that brings comfort to families in need. In supporting our mission to help youth in our community, the Michael Napoleone Memorial Foundation donated $3,000 to Notre Dame High School hockey program to assist with equipment needs. On November 20th, the Michael Napoleone Memorial Foundation donated $2500 to the ARC of Genesee/Orleans. This donation will create a Dramatic Therapy Room at the Orleans Rainbow Preschool which will include a Doc McStuffins themed doctors room, stethoscopes, and doctors kits to create a kid friendly learning environment. 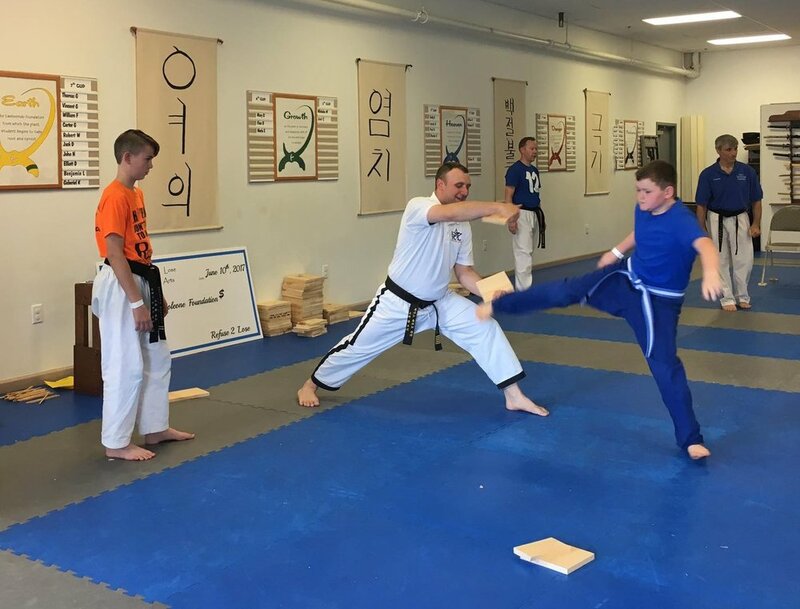 One June 10th, students at Refuse to Lose Martial Arts School in Batavia, NY had full permission to break something. In this case, it was boards during a "Summer Kick Off Party" where all proceeds benefited the Michael Napoleone Memorial Foundation. Students at the school range in age from 3-60 years old and together they broke 350 boards and raised $3000 for the foundation. The OHMS Band celebrated their 25th anniversary of music on August 13, 2016 at the Polish Falcons in Batavia, NY. Playing under a tent on a beautiful summer night, the band raised $2500 for the Foundation. It was truly "music to our ears". Many thanks to the band - their celebration helps the Foundation Lend A Hand for Hope to others. Besides the OHMS band, we would also like to thank all those who attended and supported the fundraiser. On Wednesday, Feb. 17, 2016, O’Lacy’s Irish Pub, Batavia, held a fundraiser at their establishment on School St. and raised $1200 for the Foundation. A representative from Guinness’s engraved names onto every Guinness glass. We would like to thank owner, Kent Ewell, seen here with board member Mark Napoleone, the entire staff of O’Lacy’s, and those who came out to support the fundraiser and the foundation. Board members of the Foundation served up some soups and chili at the Ronald McDonald House on Westmoreland Dr. Rochester, NY on Sunday, January 31, 2016. From left, Laurie Napoleone, Ellen DellaPenna and Joanne McInerny. The Ronald McDonald House in Rochester and around the world, act as a place to stay for families with hospitalized children who are receiving treatment. It is essentially a "home-way-from-home" for children with cancer and their families. Support your local Ronald McDonald House, the families depend on it. On December 15, 2015, the Foundation presented a $1000 check to Carli's Club at Roswell Park, Buffalo, for the purchase of items on their holiday wish list for pediatric cancer patients and siblings. Presenting the check, on behalf of the Foundation, is board member Ellen DellaPenna, and her husband Matt and son Griffin. The Michael Napoleone Memorial Foundation received a donation from the Kelly for Kids Foundation on Tuesday, January 13, 2015. Acceptingthe $5000 donation from former Buffalo Bill great Jim Kelly, is board member Seana Logdson. The Michael Napoleone Memorial Foundation was recognized during a luncheon at Ilio DiPaolo's Restaurant in Blasdell, NY. The money will be used to off-set costs for the upcoming Michael Napoleone Memorial Baseball Tournament on May 22, 23 & 24. A special thank you to Jim Kelly, Kelly for Kids and Danielle Rotundo of Terry Hills Restaurant in Batavia, NY. 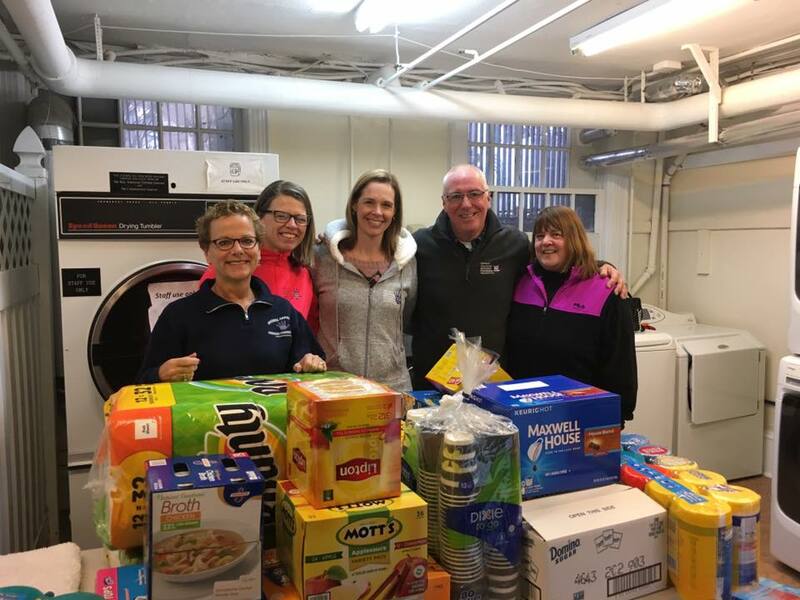 On December 22, 2014, Board Members delivered over $5000 worth of gifts provided by the Michael Napoleone Memorial Foundation to the Child Life Department at Golisano's Children's Hospital in Rochester, NY. The foundation provided blankets, cameras, radio flyer wagons, video games and a rocking chair. They also presented their second payment of $10,000 towards their pledge of $50,000 towards the construction of the Child Life office which will be located in the new Golisano's Children's Hospital. Rick Suttell presents Foundation Board Member, Mark Napoleone, with a check for over $1100 from monies raised during the Annual "Sootie" Golf tournament held at Batavia Country Club in Batavia, NY this past summer. Many thanks to all the golfers and sponsors who participated in making it another successful tournament. A special thanks to Rick Suttell and all those volunteers that worked so hard in making this golf tournament a huge success. Look for next years tournament on Saturday, July 25th at Chestnut Hill Country Club, Darien, NY.Mark your calendars now! Board members of the Michael Napoleone Memorial Foundation recently visited (Friday, Jan. 10, 2014) Golisano Childrens's Hospital in Rochester, NY to view construction on the new Golisano Children's Hospital and to deliver their first payment of a $50,000 donation towards the construction of the new Child Life office which will provide services to pediatric cancer patients. Presenting the $10,000 payment are; front row from left; Board Member Theresa Sisson, Board President Ann Marie Suttell, Co-Founder Laurie Napoleone, back row; Board Member Darrell Bell, Strong Hospital nurse Andrea Suttell, Board Treasurer Joni Yaskulski and Board Vice-President Jeff Klips. The Michael Napoleone Memorial Foundation held its annual Awareness Dayduring the Batavia Bulldawgs final regular season games on Saturday, October 26, 2013. Laurie and Mark Napoleone, left, present a check for $500 to the Bulldawgs' Ellen and Matthew Dellapenna and John Reigle. The money was donated to help with the Bulldawgs' purchase of a new sound system to be used during their football games.